Mark Gamble is one of the greatest sharpshooters in the Civil War’s Confederate Army of Tennessee. He is well-known on both sides of the battle line: revered by his compatriots and feared by his enemies. Mark’s own fear is that his soul is lost forever as his lust for killing increasingly takes over his entire being. 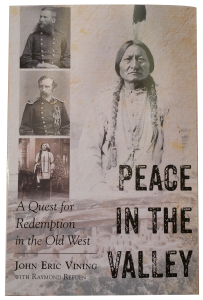 But Ruth feels a call in her life to serve as a missionary to the Brule Lakota (Sioux) in Western Nebraska—a tribe that is slowly being decimated by white encroachment. With deep misgivings, Mark agrees to accompany her, and the couple moves to the West to answer Ruth’s calling.